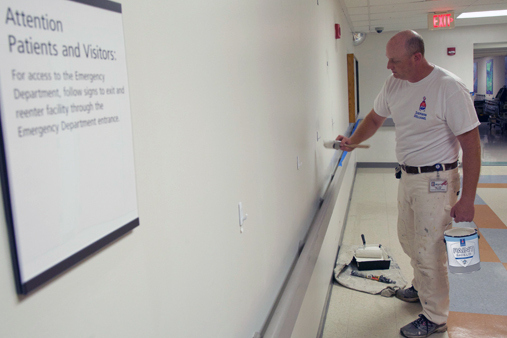 Paint Shield® Microbicidal Paint was designed and developed by Sherwin-Williams with the intention of being used in non-critical areas of hospitals, including patient rooms, hallways, waiting areas, office areas and the emergency department. But Paint Shield® is ideal for any place where these bacteria are a concern including athletic facilities, schools, day care centers, senior care communities, residential housing, hospitality settings and cruise ships. In addition to killing disease-causing bacteria on painted surfaces, Paint Shield® was developed using quality ingredients to ensure a durable paint that provides excellent hide.